Has Ex-Gay Poster Boy John Paulk Finally Admitted He’s Gay? And Do We Have To Take Him? Why Is D.C. Mayor Adrian Fenty Honoring PFOX? 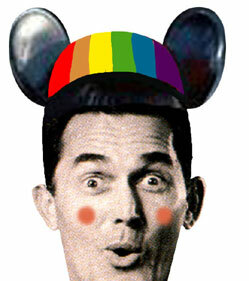 Disney Won’t Add Ex-Gays to Non-Discrimination Policies. And HRC Is Cheering? Why Do Ex-Gays Want Disney to Protect Them on the Job? Love In Action’s Not So Shocking Gendered Messages!